The Bohemian cellist and composer Joseph B. Zyka was the founder of an impressive musical dynasty in Berlin, where the Hofkapelle employed him and his five sons, all string players. 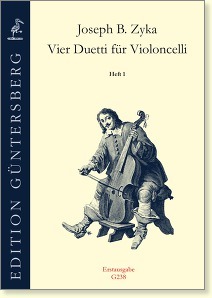 He also wrote cello concertos, cello sonatas, and trios. 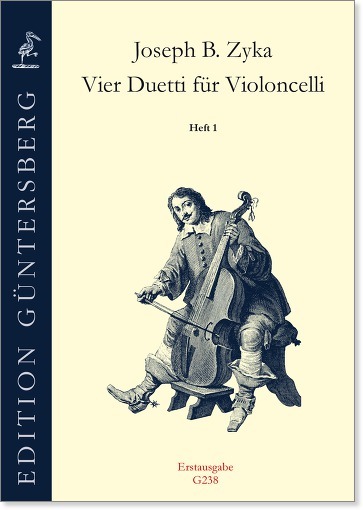 His cello duets are generally technically less demanding than those of his younger contemporary Luigi Boccherini, but can perhaps stand beside those in terms of interest for the player and charm for the listener.